Proven Web's wide experience in web development means whatever your business, we can incorporate tools and features to make your site a success. Here we look at some examples in the recruitment industry. 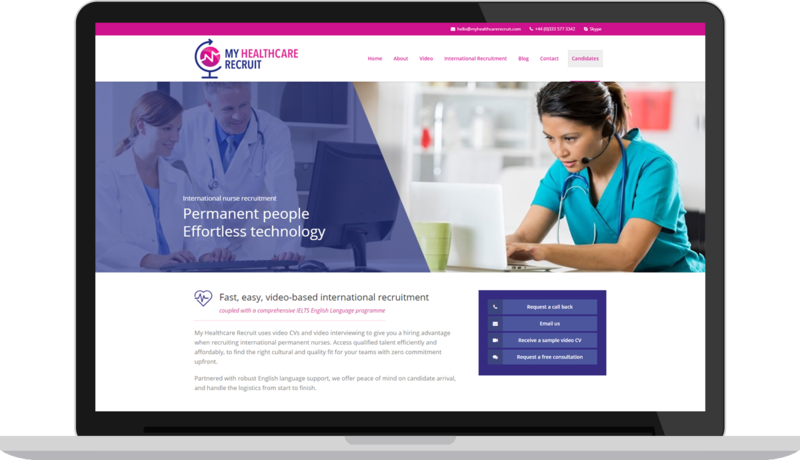 My Healthcare Recruit is a startup promoting the use of video technology to give employers in the health sector a hiring advantage when recruiting nursing and medical staff from overseas. Proven Web was responsible for the full design and build of their website. The site is split into two separate sections to cater for its two very different audiences - employers and candidates. Candidates can upload their CV via the website to be considered for a position. There are also multiple ways for employers to engage, e.g. requesting a sample video CV - sent by automated email. I was absolutely delighted with the website developed for My Healthcare Recruit. I approached Proven Web (amongst others) when I received a recommendation from someone who works with a lot of new businesses. After I reached out, Andy got back to me quickly and I was immediately struck by how much time he spent with me to understand exactly what I was looking for. We had an initial consultation and then he took the time to develop a concept for me so we both knew what we were working towards. I knew what I wanted the website to convey and feel like, but I wasn’t sure of the best way to achieve it from a user experience perspective. Andy was great at coming up with ideas, but also offering ways to tweak my suggestions to make features more intuitive and user friendly. One of the things I have been happiest is about is that often once a final “product” has been delivered, providers often become less responsive and unwilling to provide after-care. Although I haven’t had any real problems since the website went live, questions have cropped up and Andy has been in touch quickly to provide answers or advice. On a personal level Andy came across as genuine and approachable. I would recommend Proven Web to other businesses wholeheartedly. 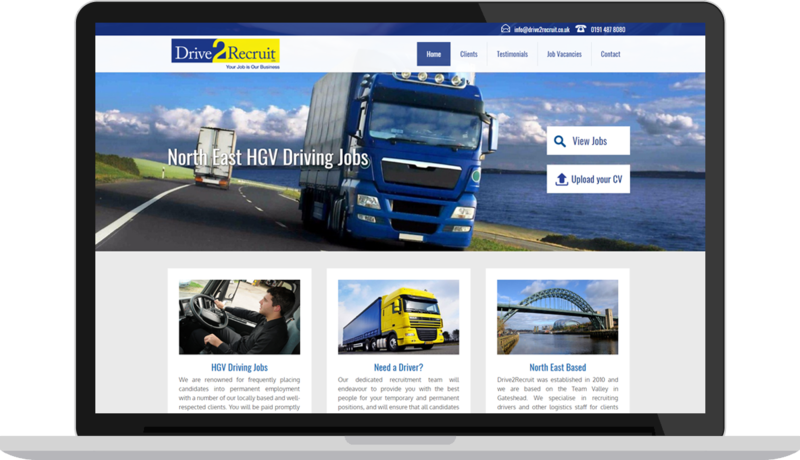 Drive2Recruit specialise in recruiting HGV and logistics drivers for companies who need to hire driving staff, short or long term. Proven Web built and maintain their recruitment website, based on WordPress. Available jobs are posted onto the website, where candidates can search for new vacancies and apply online. Drivers can submit their timesheets via the website, making the process more streamlined and reducing admin work. Need advice about a new website? Let us give you ideas & suggestions to make your site as effective as possible for your business – free and no obligation.